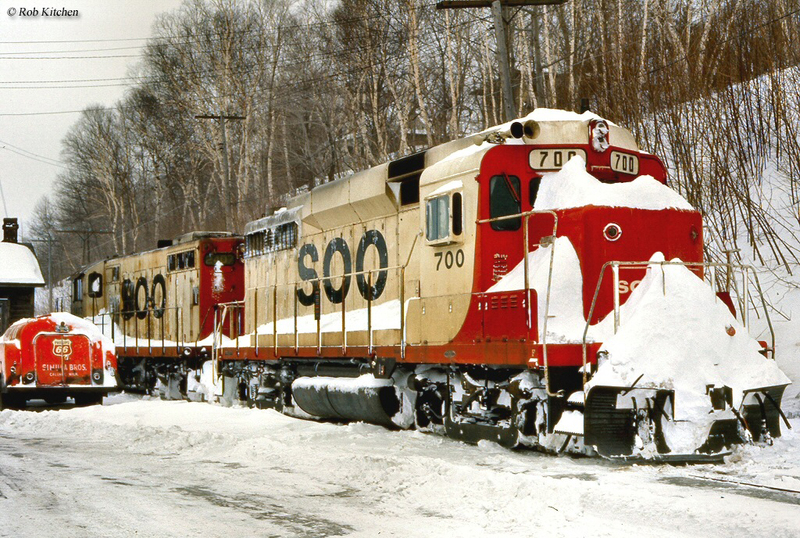 Michigan Railroads And Railfanning In "The Great Lakes State"
Michigan has been known for a number of things over its 170+ year history with railroads, from iron ore and timber products to automotive parts and merchandise. For decades and until the 1970s the state also witnessed significant carfloat operations due to its location along the lakes (notably at Ludington). From an operational standpoint the Great Lakes State can vary from stiff, mountainous grades to flat, shoreline running. 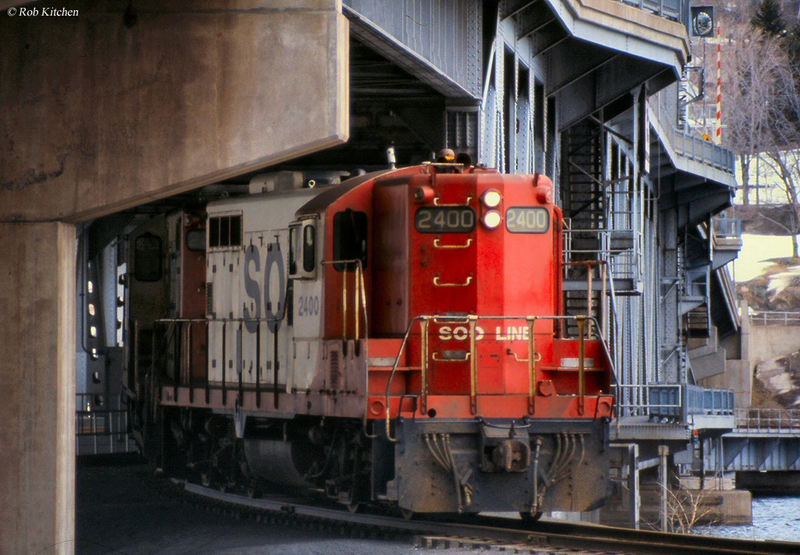 If you were able to see the state's railroads in action prior to the 1980s it was quite an interesting affair with a wide and diverse variety of operations. In any event, the state is also home to the inventor of the historic Shay locomotive, Ephraim Shay, which built his first prototype in 1877. Today, Michigan still features four Class Is (in addition to Amtrak), two regionals, and several shortlines systems. Finally, please note that there will be links to other pages here at the website listed throughout the article covering various topics from fallen flags to museums and excursion trains. 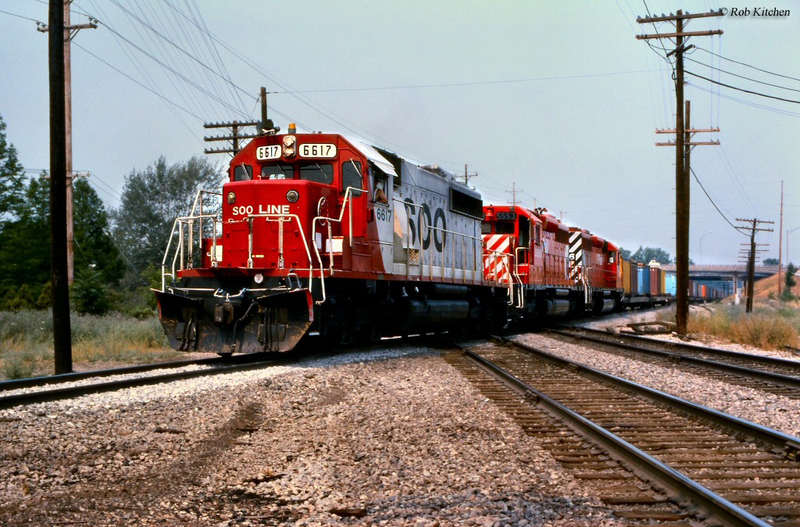 Michigan railroads date back to 1836 when the little Erie & Kalamazoo Railroad finished its line connecting Adrian, Michigan and Port Lawrence, Ohio (what is today Toledo), a distance of nearly 40 miles (the line officially opened on November 2nd). 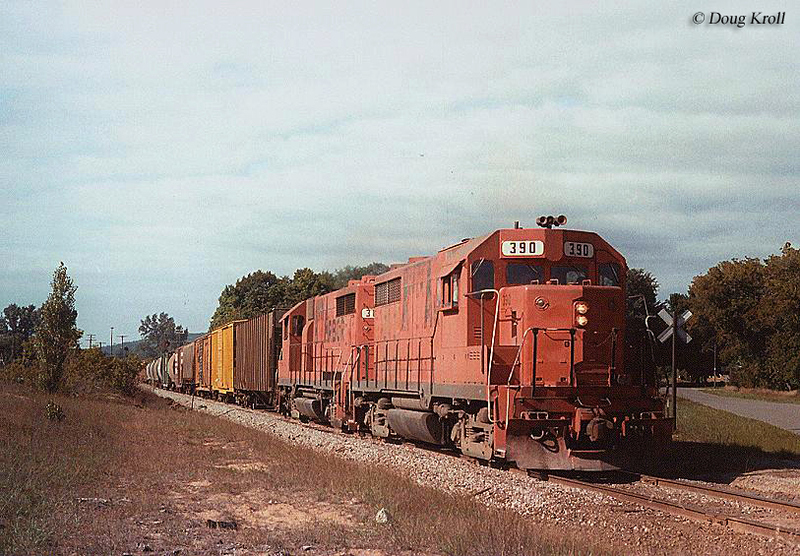 The history of the railroad dated as far back as 1832 although it was not officially chartered until April 22, 1833. While the E&K began as a horse-powered operation it switched to steam power by 1837, a year after begin services. The railroad eventually became part of the large Lake Shore & Michigan Southern Railway, a massive system for its time that was formed through smaller lines like the E&K in 1869. It would stretch from Buffalo, through northern Ohio, southern Michigan, northern Indiana and also reached Chicago. In 1914 it became an important part of the New York Central System. In the succeeding years Michigan would be home to a number of well remembered railroads which included the Michigan Central, Grand Trunk Western and many others. 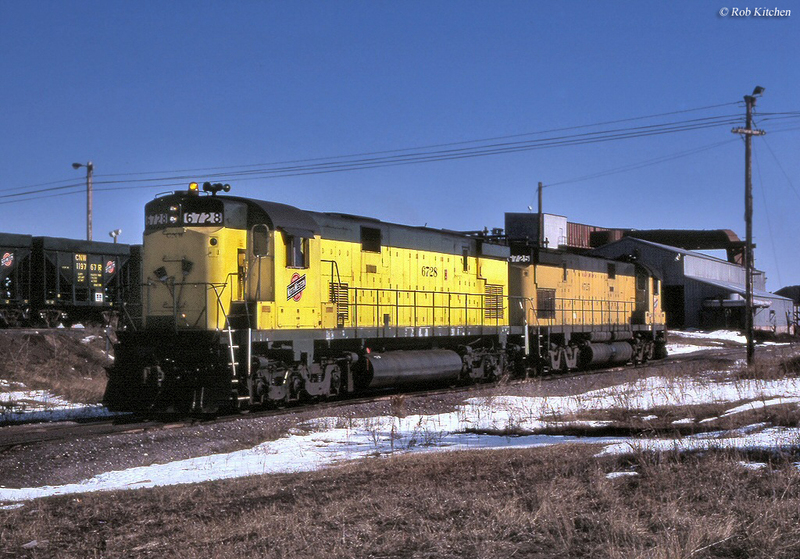 Today, Michigan still features a number of Class I systems that include CSX, Norfolk Southern, Canadian National and Canadian Pacific. Additionally, the state is served by two regionals, Great Lakes Central Railroad as well as the Indiana & Ohio Railway which operates in the southern regions. The rest include shortlines Ann Arbor (mentioned above), Central Michigan Railroad, Delray Connecting Railroad, Escanaba & Lake Superior (mentioned above), Huron & Eastern Railway, Lake States Railway, Lake Superior & Ishpeming (mentioned above), Marquette Rail, Michigan Shore Railroad, Michigan Southern Railroad, Mid-Michigan Railroad, Mineral Range Railroad, Adrian & Blissfield Rail Road, Charlotte Southern Railroad, Detroit Connecting Railroad, Grand Elk Railroad, Grand Rapids Eastern Railroad, Indiana Northeastern Railroad, Lapeer Industrial Railroad, Michigan Air-Line Railway, Saginaw Bay Southern Railway, and West Michigan Railroad. Today, all of these railroads operate just over 3,600 miles of track in the Great Lakes State, which is a just a fraction of Michigan's all-time of 8,734. The state has lost a staggering 59% of its rail infrastructure since the 1920s and more than 5,000 miles overall. This number is even well above the average of most states, which have seen a decline typically between 45% to 50%. Michigan's significant loss of its railroads can probably be explained by the large number of branch and secondary tracks which looked to tap its resources as well as the number of smaller fallen flag systems whose lines have since been cutup (Pere Marquette, Ann Arbor, Detroit & Mackinac, etc.). 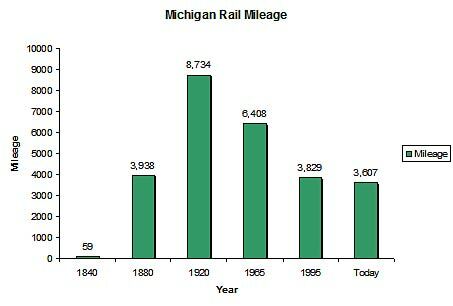 In any even, for more information about Michigan, in terms of route mileage over the years please take a look at the chart below. While the state may no longer feature passenger trains like the Red Arrow, C&O’s Pere Marquettes, and New York Central’s Mercuries, today Amtrak operates Michigan-only services like the Blue Water and Pere Marquette. Amtrak also owns its only stretch of trackage outside of the Northeast Corridor in Michigan which is the 97-mile, 110 mph Wolverine Corridor that connects Detroit and Pontiac with Chicago. To learn more about Amtrak's current services in Michigan please click here to visit their website. In terms of the state's history it is home to several railroad museums and excursion trains (for instance, Michigan is also home to Pere Marquette #1225, the operational 2-8-4 Berkshire steam locomotive owned by the Steam Railroading Institute and was featured in the Polar Express). Some of these include the Henry Ford Museum, Michigan Transit Museum, Huckleberry Railroad, Southern Michigan Railroad, and the Adrian & Blissfield Railroad(which also offers excursion train services. So, whatever your interests might be, Michigan railroads offer a unique experience of Class I, main line operations as well as several local “down by the depot” shortlines. And, if these tire you out after a while be sure and ride one of the state’s several dinner and excursion trains!